Cone Beam technology provides a 3D digital tomographic view of the patient’s area of interest. A traditional x-ray is only two-dimensional. 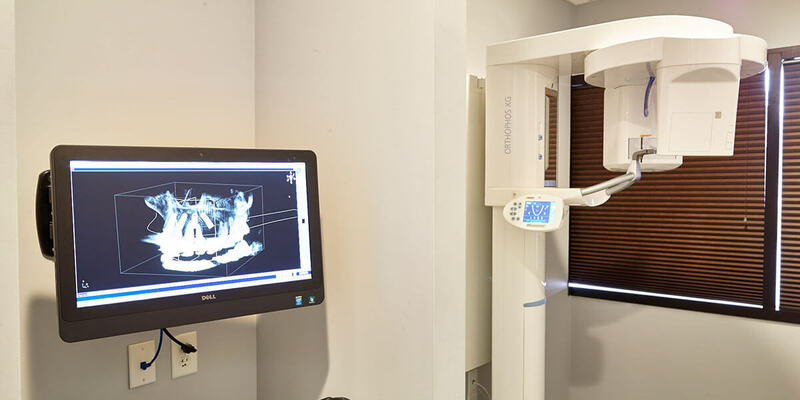 With Cone Beam systems the doctor is able to get a full 360 degree view of the tooth and all surrounding areas. The 3D Cone Beam scanner provides nearly limitless views of the teeth while using less radiation than traditional medical CT technology. This new technology is fast, simple and painless, providing many wonderful benefits that were unavailable only a few years ago. Oral cancer affects thousands of Americans yearly. We use the latest technology to detect changes in oral tissue consistencies and/or lesions. With early detection, cancer may be caught before it has time to spread, potentially saving lives.